One of my predictions for 2018 was that we would start hearing about blockchain implications for agriculture. But I did not expect it would be this quick. 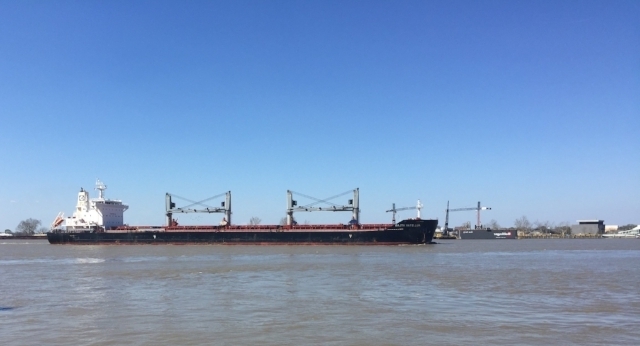 On January 22, 2018, Reuters reported that a Louis Dreyfus Co. transported a shipload of soybeans from the US to China using blockchain as to documentation tool. The sales contract, letter of credit and certificates were digitalized on the Easy Trading Connect (ETC) platform. The US soy shipment did not involve Bitcoin or other cryptocurrency, which often goes hand-in-hand with blockchain, but it is still a big step. For those new to blockchain, think of it as decentralized ledger recording various transactions in a process. Rather than record transactions in a central, single database, blockchain syncs various databases together creating a digital record that, in theory, is difficult to tamper with or hack. Bitcoin is a blockchain. Blockchain, as it was used here, simplified the paperwork necessary to transport and transfer a shipload of soybeans. The real challenge for agriculture will be figuring out how to combine blockchain record keeping with easy to move funds from buyers to sellers. Still, the US soy transaction is a sign that blockchain has some real potential for transfer of agricultural commodities. Blockchain can help simplify record keeping, documentation of payment, and traceability. Reducing these burdens on agriculture should reduce transaction costs, and as a result, ultimately return more money to the farmer.